If you’ve been looking for a job for a while and not been having any success, it’s sometimes wise to take a step back and evaluate what you’ve been doing and how you’ve been doing it. Yes, the job market is very competitive, and the economy may still be pretty challenging, however these are things which are effectively out of your control. However, what you can control are your job search activities so it’s important to make sure that what you’re doing is to your benefit. It’s easy to slip up though – here are some things to certainly avoid doing – 5 Ways to Harm your Job Search. It’s easy and pretty common to assume that there is such a thing as the ‘perfect CV’ – the one CV that once created is the one that will get you that job. However, the reality is that it doesn’t exist. If you have spent hours on end creating and perfecting your CV, we’ve got a little piece of advice for you. That CV is simply a template – a prototype if you like. Yes, it may highlight all your skills and all your experience but is it really suitable for all jobs? Probably not. Every CV that you send should be tailored somewhat for the particular job you have applied for. This will go a long way towards impressing a potential employer and will greatly enhance your chances of being shortlisted. Sending out a generic mass produced CV will do you no favours. Most employers these days are social media savvy. So, when they are recruiting, they’re not just relying on looking at your CV or application form – they’re doing a little digging around too. If your social media accounts are publicly accessible and contain posts or images that don’t exactly scream ‘exemplary employee material’, then it’s time to do something about it. If a potential employer views your Twitter or Facebook account and only ever sees pictures of you a little worse for wear, or foul mouthed rants about all and sundry, it’s not really going to inspire them with much confidence in hiring you. Your choices are to change your privacy settings so only your friends and family can see, or ‘clean up your act’ as it were and remove any posts or images that might be doing you harm in your job search. To an extent we’re probably all a little guilty of this one. We may have our sights set on working in a particular career or market sector and dismiss out of hand other opportunities which are out there. In the current challenging job market though, this could seriously have a negative impact on job search success. Yes it’s important to have career goals and aspirations, but sometimes it’s important to open our eyes to other things too. Don’t be overly selective about the companies and the jobs that you apply for. For example, startups can provide you with good if not better experience than the large corporates and the charity or third sector can offer many roles that you may assume only traditional commercial businesses do. Also don’t only apply for permanent jobs – temporary or contract work can be an ideal way to fill any interim gaps in your employment history. Don’t dismiss opportunities without doing a little proper research on them first. If you rely solely on the media, it would be easy to assume that there are no, or at least very few jobs out there. Stories of company closures, layoffs and redundancies generally get the headlines. 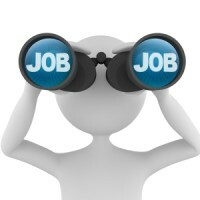 The reality is however that there are jobs out there – it’s just that you have to do a little more work to find them. Use all the resources at your disposal – from online job boards to recruitment agencies to networking. Also, take it into your own hands too and be proactive – contacting employers on a speculative basis could highlight job opportunities that you may never have known about. In essence, paying too much attention to the doom and gloom merchants can seriously harm your job search, so we say, ignore the naysayers! 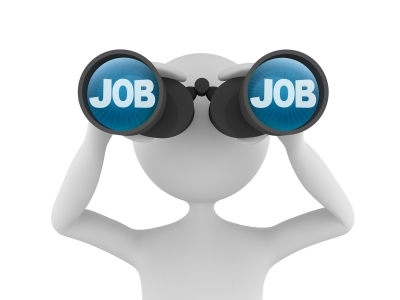 So, you may think how can ‘doing nothing’ harm a job search? Well, it’s quite simple really. If you aren’t working at the moment – perhaps you’ve been made redundant or you’ve recently graduated – regardless of the reason, an employer will want to know what you’ve been spending your time since you left work or college doing. 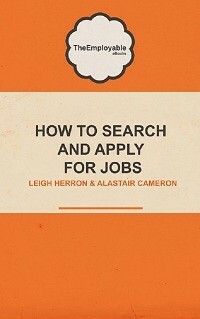 We know that looking for a job can be like a job in itself but it can’t really be listed on a CV can it? Rather than doing nothing and simply waiting for jobs to appear that you can apply for, why not undertake some voluntary or charity work, check out some courses and see if you can learn new skills. These things will all present a much more positive impression of you to an employer and not only will they make you more employable, but they will also do your self esteem and mindset a world of good too. We hope that these tips will help and that by highlighting 5 Ways to harm your job search we’ll help your job hunting activities. Got any other tips that you’d like to share? Why not let us know via the comments below.